This monastery of Benedictine nuns is like something out of a fairy tale. Found on the way to the Boa Vista palace, the cloister is nestled away inside a forest, beside pretty gardens and a pretty lake. The estate blends in utter harmony into its surroundings. But visitors are here for more than the scenery. Every day, in the Chapel of St. John the Baptist, the nuns sing their Gregorian chants. Sometime they sing in Latin, or in Greek, or in Portuguese. Regardless of language, the haunting music’s soft tranquillity enchants every visitor, often leaving them in a trance. The nuns sustain their activities by making sweets. You can buy these and other gifts at their shop. 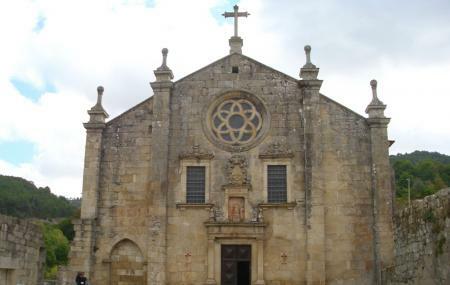 How popular is Mosteiro De Sao Joao? People normally club together Ducha De Prata and Fabrica De Cerveja Baden Baden while planning their visit to Mosteiro De Sao Joao. Grate place of prayer and reflection. Everyone shall visit!